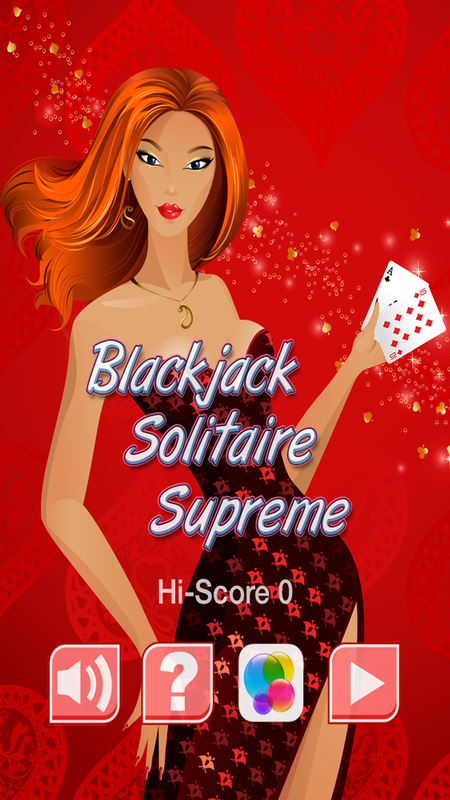 An amazingly addictive card game which combines the best elements of Blackjack and Solitaire along with high quality graphics and sounds. 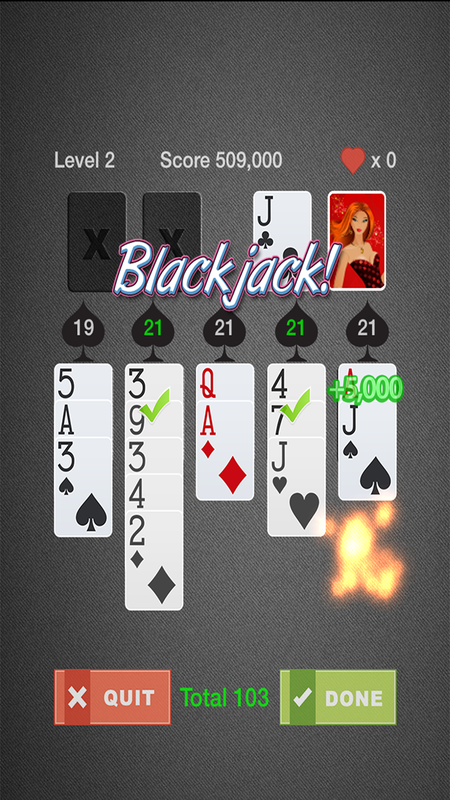 You are given a shuffled deck of 52 cards and have to create 5 Blackjack hands by placing the next face up deck card onto any of the 5 stacks. 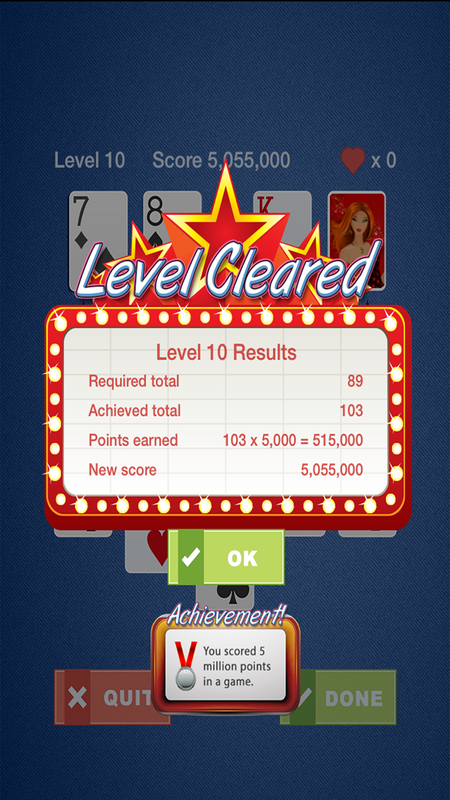 The amount of the 5 hands totals up to a score which must meet or exceed an ever increasing target total. You have 2 discards to remove cards you don’t like. If you bust or miss the required total across the 5 stacks for the level the game will end. 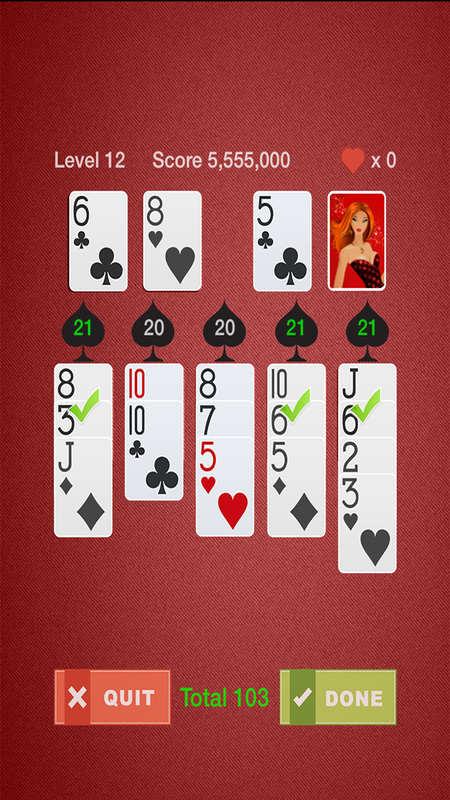 If you score 21 in all 5 hands you will earn a free life which can be used as a 2nd chance to repeat a level. 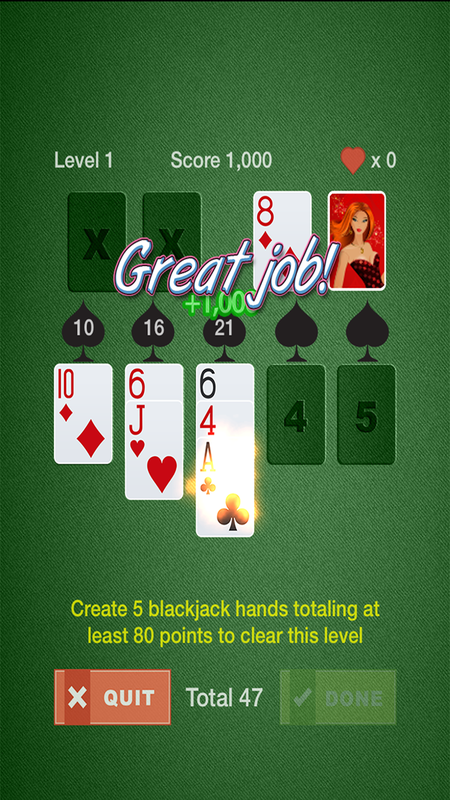 Standard Blackjack rules apply for the hands.